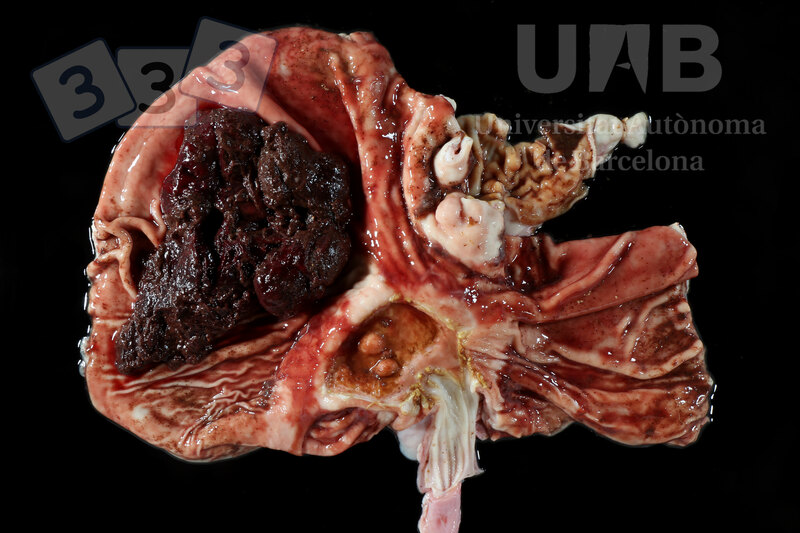 This pig suffered from a severe and chronic gastric ulceration of the "pars esophagica" (see the cardias). This ulceration usually produces intermittent hemorrhage that, occasionally, can be so acute and severe that causes hypovolemic shock and sudden death. At necropsy, gastric ulceration with bloody content or clots (as in this case) are observed in the lumen.